Margaret “Maggie” (Brown-Zenor) Purcell, 78 of Brazil, IN, passed away on Friday, October 12, 2018 at 6:15 AM in Union Hospital. She was born in Paris, IL on August 24, 1940. Margaret is survived by her three children; Robert Harrison Breneman (Cindy), Jayne-Ani Collins (Skip), and William T. Brown II (Paula). Also surviving are 10 grandchildren; Joshua Collins, Kayla Collins, Robert Breneman, Kurtis Breneman, Garrett Breneman, Emily Breneman, Brittany Brown, Brooke Brown, Hanah Sterling, and Emily Sterling, as well as 3 great grandchildren; Tayton Collins, River Tompkins, and Parker Gobin. She also leaves behind her husband Jerry Purcell and his 2 sons, Jerry Purcell and Jim Purcell, as well as David B. Houk, who was like another son to her. Margaret was preceded in death by her former husbands William T. Brown, Michael Zenor, and Robert H. Breneman, as well as a son, Benjamin Harrison Breneman. 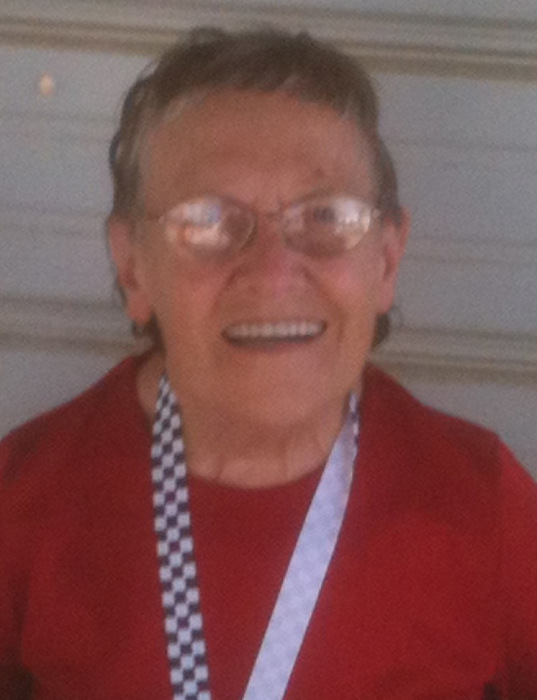 She was a life-long member of the Terre Haute Quarter Midget Association, a children’s racing organization where she held several positions and performed many duties. Her most treasured position was that as Novice Trainer-a position she held for several years-“her drivers” were her life. She was an inductee into both the THQMA and National Quarter Midget Association Halls of Fame. Funeral services will be held at Fitzpatrick Funeral Home, 220 North 3rd St., West Terre Haute, IN on Tuesday, October 16, 2018 at 1:00 PM, with Rev. Bill Brock officiating. Burial will follow at Roselawn Memorial Park. Visitation is scheduled for Monday, October 15, 2018 from 4:00- 8:00 PM and again on Tuesday from 12 Noon - 1:00 PM at the funeral home.